Cupid is coming people - get excited about it! When I asked my friend Chuck what he (and guys in general) wanted for Valentines Day he said "Guys don't care about Valentines Day." Helpful! Thanks! I don't believe him though. Something tells me if his wife dressed up in one of the above lingerie numbers, he'd be less apathetic. I don't know what my plans are for Valentines Day but I know Macy's involve needing 30 Valentines ready-to-go for her school party Friday. We bought Little Pony ones a while back but she's since ripped, colored, and chewed (and therefore ate?) those so we'll need a 2nd batch. Have a great weekend anyone!!! I've been doing the Whole 30 since the beginning of this month but going off it Saturday night to drinkkkkkkkkkkkkkkk at a concert with Candace and Julie! 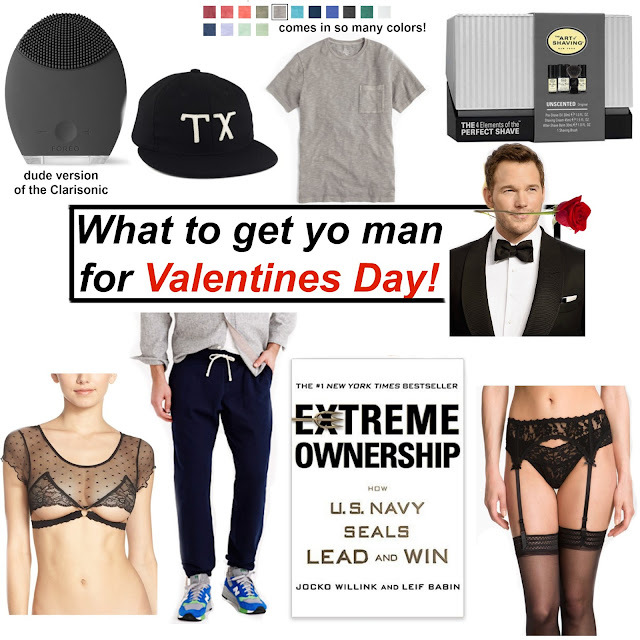 *But the Texas Hat here at one of my fave stores ManReady.